ALBANY — A top aide to Gov. Cuomo has no time for tea. Melissa DeRosa, secretary to the governor, cautioned fellow Democrats against embracing the extreme “edges” of the party on Thursday, denouncing Dems who threatening to support primary challenges against colleagues who disagree with more progressive positions. She went on to draw parallels between the rise of more left-leaning lawmakers and the 2010 Tea Party uprising of conservatives on the right. It was unclear who exactly she was targeting, but the comments came off as a swipe at Rep. Alexandria Ocasio-Cortez (D-Queens), who ousted longtime representative Joe Crowley last year and has encouraged others to take aim at mainline Dems, and the new class of Albany lawmakers who have sparred with Cuomo in recent weeks, including state Sen. Alessandra Biaggi (D-Throgs Neck). Last month, Ocasio-Cortez denied that she had warned fellow Democrats they risk a primary challenge if they cross the aisle and vote with Republicans. 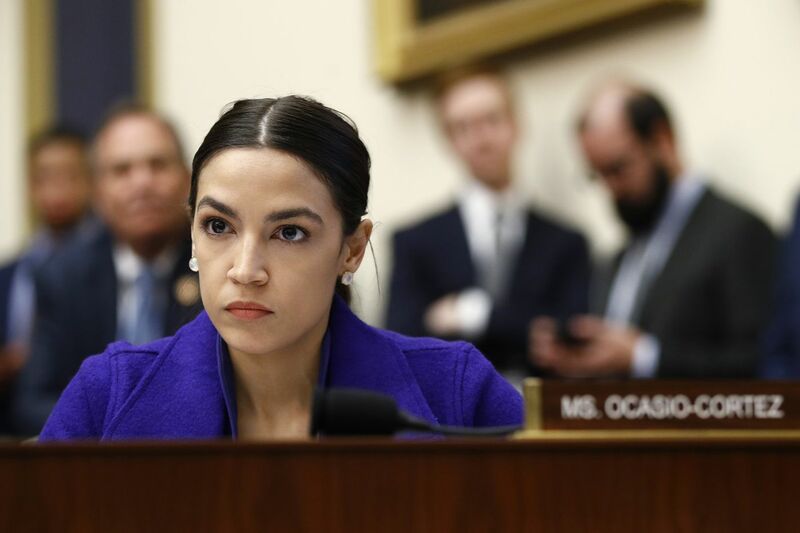 The 29-year-old privately demanded moderate Democrats in the House toe the party line and stop voting with the GOP or find themselves “on a list” for possible primary election challenges, according to multiple people familiar with the matter. Meanwhile, Biaggi emailed supporters a missive last week that appeared to threaten primary challenges to legislators who don’t support progressive policies. Following a budget compromise that led to the creation of a commission to implement campaign finance reform, some Dems have grumbled about their own party members in the state Senate and Assembly. Several Democratic Assembly members bucked Speaker Carl Heastie (D-Bronx) and voted against the omnibus budget bill in protest over the commission. Cuomo has had a contentious relationship with his fellow party members in Albany in recent months even with one party controlling both chambers for the first time in nearly a decade. Tensions boiled over in the wake of online retail giant Amazon pulling out of a planned Queens outpost following political opposition from some Dems. Biaggi and fellow freshman Sen. Jessica Ramos (D-Queens), along with Assembly member Yuh-Line Niou (D-Manhattan), then criticized Cuomo for hosting lobbyists at a swanky Manhattan fundraiser as budget negotiations were ongoing. Another Cuomo aide caused a stir by referring to the trio of lawmakers as “f—ing idiots” as it emerged that either they or their conferences held similarly high-priced soirées. One Democratic party insider said it was hypocritical of the governor’s team to knock Democrats while calling on the party to unite behind their colleagues. “It’s a Cuomo classic, talk about party unity while at the same time attacking fellow Dems,” the source said. The governor personally weighed in on the progressive push for primaries earlier in the week. “What we’re seeing in this state, I think it is destructive, it’s also an aberrational political moment. You normally don’t have members attacking any members. I don’t think it’s productive, I also think it’s dangerous,” Cuomo told WAMC’s Alan Chartock on Tuesday.